There is a variety of things to do and see in Melbourne and our City Sightseeing tour is especially designed for you to get the most out of Melbourne in a day or two and ensure you see everything this fascinating city has to offer. Melbourne is known as the city of Gardens because of its amazing scenery. Moreover you will discover unique buildings, a rich history, wonderful food, shopping and more. The beautiful city is positioned on the estuary of the Yarra river, it extends South from the city centre along the eastern and western short lines of Port Phillip. 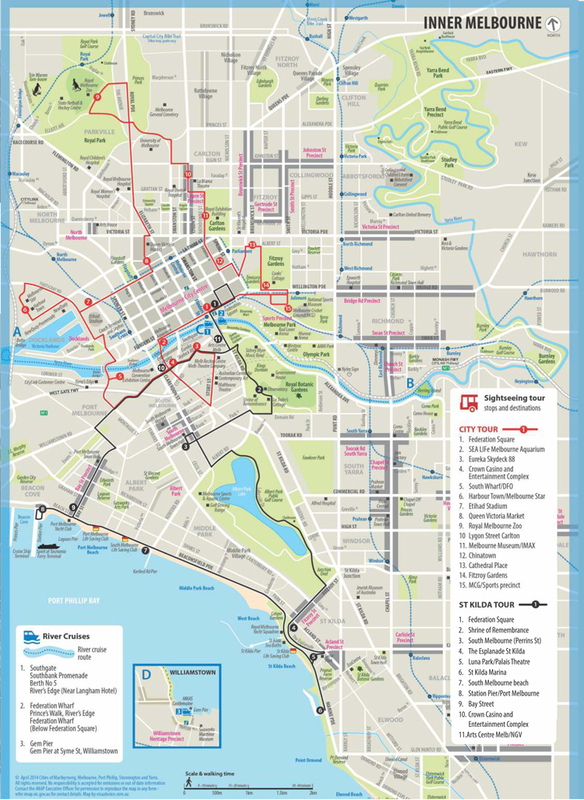 Check out the best things to do and all that Melbourne has to offer on our City Sightseeing tour - such as the Arts centre, Rod Laver Arena, China Town, Docklands, Etihad Stadium and lots more. Be sure to visit the Eureka tower which has the highest public vantage point in the southern hemisphere and the world's first “Edge Experience”. Melbourne is a multicultural city and the restaurants offer a spectacular variety of food - one of the most popular places for restaurants is Lygon street in Carlton, in which you can choose to dine in one of many fine Italian Restaurants with famous pasta to savour and cake to devour. To view the route map, please click here. Routes/Maps are subject to change without notice. Any changes are beyond our control and no refunds will be offered. For the most up to date Route/Map please always enquire when in resort.